It's back to school time again and we are still in the middle of planning our back to school party. 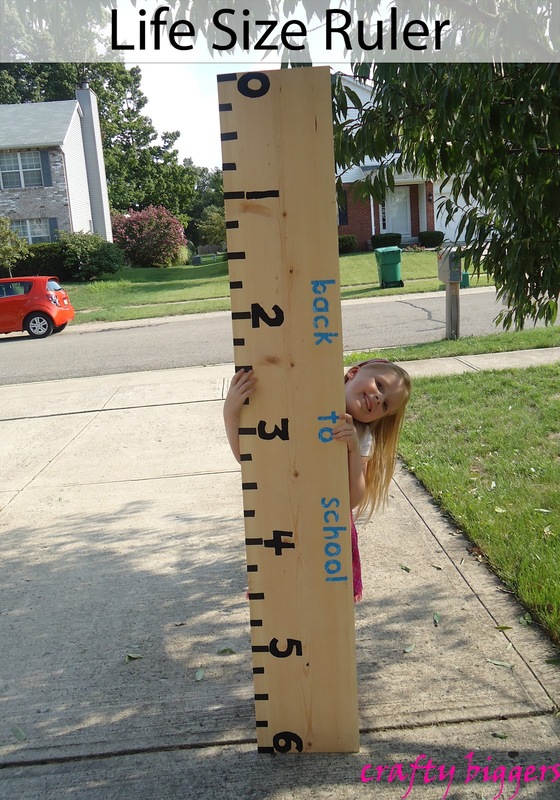 This is just our next giant school supply for the party. This was really easy to make. I stopped by Lowe's and picked up a 1" x 12" x 6' board. The 'back to school' was cut our using my Cricut and Mod Podged onto the board. For the numbers I cut out the numbers with the Cricut and then taped then on the board and painted black inside the outline of the numbers. 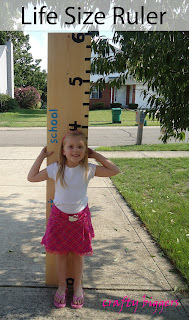 I can't believe my little Kindergardener is almost 4 feet tall! 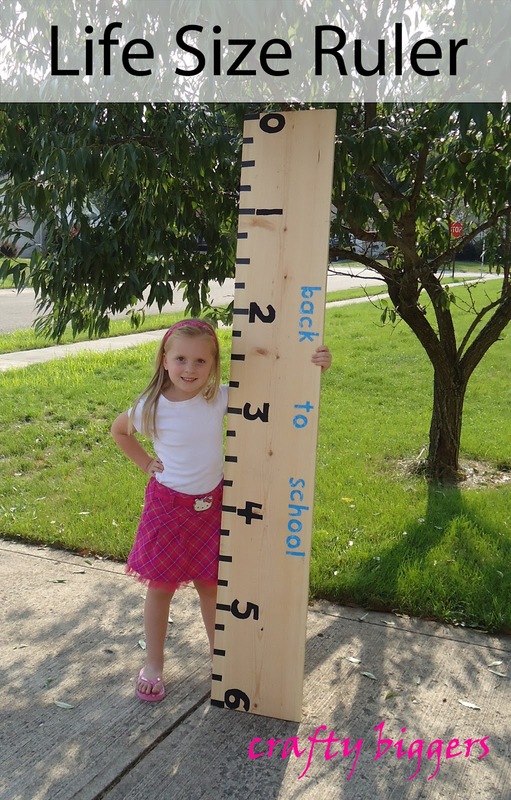 What a great idea for back to school pictures! Love it! Thanks for sharing at the Pomp Party! Pinning! Found you on the Fun Friday Blog Hop. Wanted to stop by say hi and follow you. Can't wait to check out your blog more. 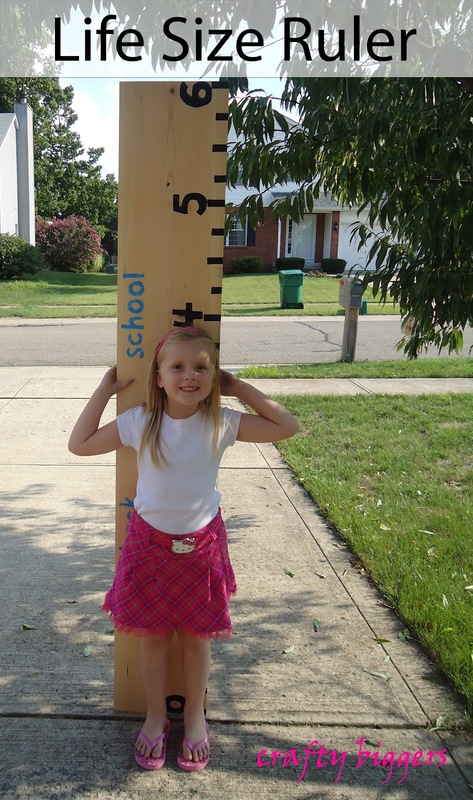 What a fun prop for back to school pictures. I love it! Thank you for linking this up to our Crafty Showcase and linking our blog to your page! We appreciate it! This post is being featured today on our Facebook wall twitter. It will be this afternoon! Have a super week and we can't wait to see what you share on Saturday!